My contract for February - 1 Maw-Krusha - 1 Ironjawz Brute If I can't complete that then I'll be a monkeys uncle. Stretch goal is to finish a single Gore-Grunta. Didn’t get to finish my Maw-Krusha but did manage to paint a Troggoth for a competition! Close enough right? Thanks! Looks like I will probably be too late this year but I'll definitely have something to enter next year. 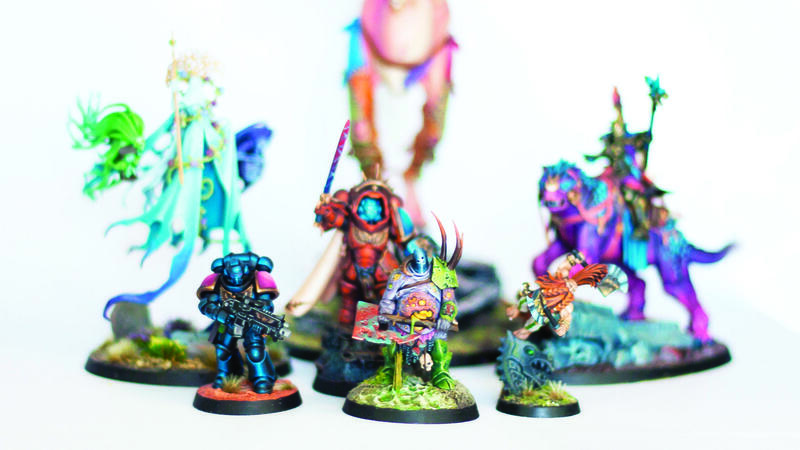 Are there any painting competitions in Australia/NZ? I haven't been able to find anything and would love to participate if there are any events. I'm a bit late to the party but I've been aiming to finish my Maw-Krusha this month and maybe a Dankhold Troggoth if I'm lucky. Love seeing everybody's work! I've progressed a bit since this photo but still a long way to go.